Welcome to a special Sunday book review! I know these generally fall on Friday, but this seemed perfect for Sunday after this morning’s blog post about finding things you love to do and making them Sabbath friendly. I’m interested by the life of women of faith, as you know from my Walking With Women series. 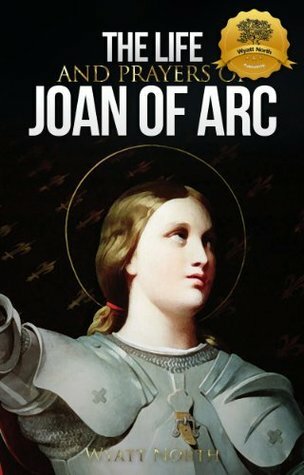 Saint Joan of Arc fascinates me and I recently scored a Kindle book on the cheap about her. Though Joan described herself as “a poor girl who knew neither how to ride nor lead in war,” she did know how to obey God. That simple skill changed the course of both her life and that of the entire nation.Twenty-five years after her execution, Saint Joan was pronounced innocent, and declared a martyr. Joan stood up for her belief and against all odds fought for her people. With only 48 pages, I was not expecting a great deal of details or dramatization of the life of this woman. This provided a fantastic overview of her life starting with her parents, a bit of historical reference, and commentary on what made this woman special enough that God might deign to speak to her. It concludes with discussion of the overturning of the trial that condemned her and path towards Sainthood. Encouraged by her virtue and perseverance, I found myself considering much more than simply Joan’s life. Not that I want to speak to Angels and be called crazy or ride off into war, however I desire to develop the same qualities that allowed Joan of Arc the ability to perform these miracles. I spent a Sunday afternoon reading this brief text and it was perfect! Brief enough to fit into a quiet day, yet enough meat to feel fulfilled. I definitely agree with “an essential book for any Christian”, and I would add that studying Joan of Arc a vital part of anyone’s attempt to study the women of faith that came before us.